Now that spring football has started for the Florida Gators, you will see more and more prospects visiting the Gainesville campus. That started a little early this week. 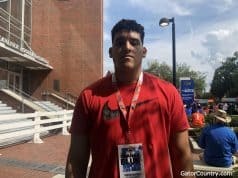 Defensive end/tight end Jonathon MacCollister (6-4, 253, Orlando, FL Bishop Moore) visited Gainesville on Tuesday, just one day before Jim McElwain and the Gators started practice. 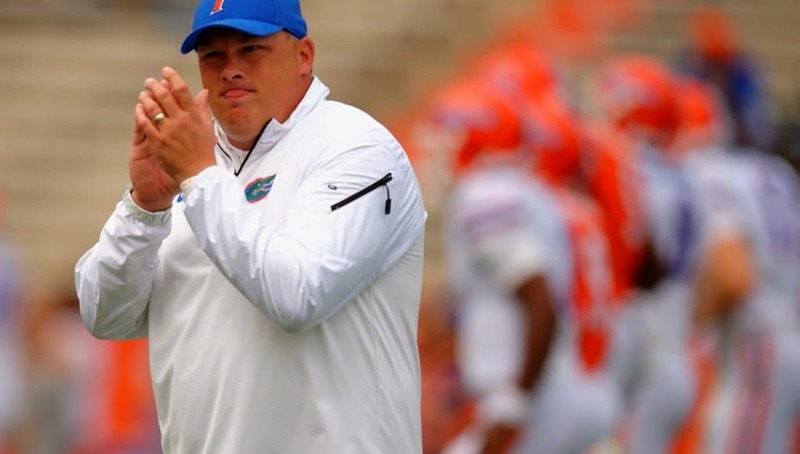 McElwain sat down with MacCollister on Tuesday to talk to him about how the Gators see him fitting in Gainesville and which side of the ball he will play. MacCollister got the offensive pitch from McElwain and defensive coordinator Geoff Collins gave him the defensive pitch. MacCollister, who plays a lot of positions in high school, was asked by McElwain how he felt about playing offense in college. 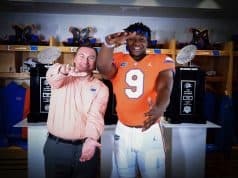 The Gators are a school that MacCollister has visited several times and he’s just waiting on Florida to give him the opportunity to play in Gainesville. 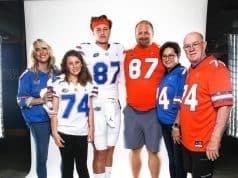 A Florida offer is something that MacCollister has been dreaming about since he was young and he says he would be honored to have a Gators offer. INSIDERS TAKE: MacCollister says that Auburn is really recruiting him hard right now and that he plans to visit them this spring. Florida will likely wait to see him in person this spring before offering the athlete.